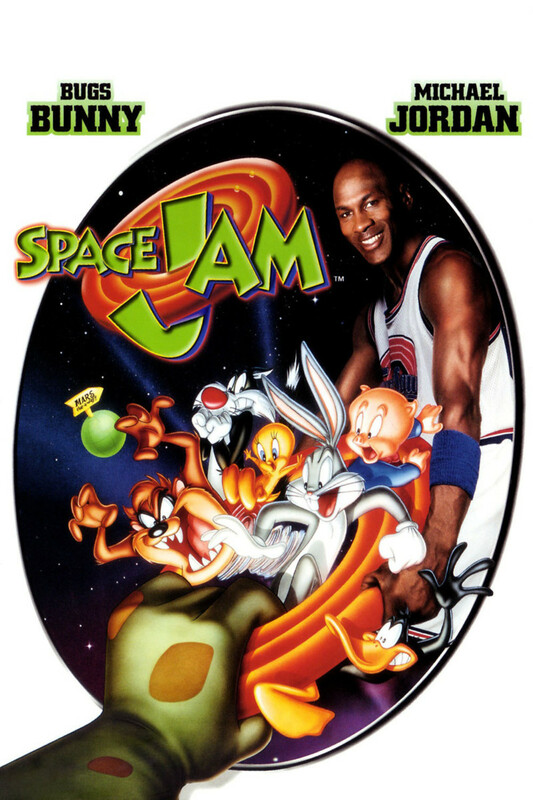 When a group of five aliens from Moron Mountain invade the Earth in order to enslave Bugs Bunny and his Looney Tune friends, there is only one person who can save them: Michael Jordan. After challenging the diminutive aliens to a winner-takes-all basketball game for their freedom, the Looney Tunes face a whole new world of trouble when the aliens return bigger and badder than ever after stealing the talents of some of the world's best professional basketball players. Fortunately, Bugs Bunny is able to convince Michael Jordan to come out of retirement (he claims to be a baseball player now) in order to save the day. With the sheer will and determination that made him so successful in the NBA, Michael Jordan is able to not only defend the freedom of his new friends, but also win back the talents of his friends back home.